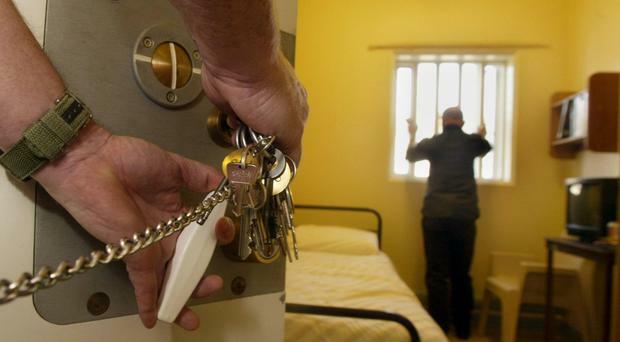 A promised "revolution" in the rehabilitation of criminals has yet to be delivered, a Commons committee has concluded. The Ministry of Justice is now more than two years into reforms of probation services which were intended to drive down re-offending - but they are far from complete, MPs claimed. Meg Hillier, chairwoman of the Public Accounts Committee, said: "There is a real danger the Ministry of Justice has bitten off more than it can chew." Under the overhaul introduced in 2014, the National Probation Service (NPS) was created to deal with high-risk offenders, while remaining work was assigned to 21 new Community Rehabilitation Companies (CRCs). The committee's report said: "The Ministry of Justice has yet to bring about the 'rehabilitation revolution' it promised and must do so at the same time as implementing other far-reaching new reforms, all with increasingly constrained resources." MPs found there is still no clear picture of how the new system is performing in important areas of the reforms. One key change introduced as part of the shake-up was the extension of supervision after release to offenders sentenced for less than a year. The committee said it was unclear whether this is "having the desired impact", adding: "Nearly 60% of people who receive short prison sentences of less than 12 months reoffend within a year." The report also said information and communications technology systems in probation are " inefficient, unreliable and hard to use". Ms Hillier said: " Ambition is one thing, but, as our Committee continues to document across government, delivering positive results for taxpayers and society in general is quite another.
"' Revolution' is a potent word the Government may regret using to describe its reforms to rehabilitation. After two years these are far from complete and there remain serious risks to achieving the performance levels expected by the end of 2017." Official figures show that from October 2013 to September 2014, around 496,000 adult and juvenile offenders were cautioned, received a non-custodial conviction at court or released from custody. Around 128,000 - or one in four - of these offenders committed a new offence within a year. Last year, former justice secretary Michael Gove lamented the failure to reduce reoffending rates as "horrifying". Justice Minister Sam Gyimah said: "We are carrying out a comprehensive review of the probation service to improve outcomes for offenders and communities. "Public protection is our top priority and we will not hesitate to take the necessary action to make sure our vital reforms are being delivered to reduce reoffending, cut crime and prevent future victims." Peter Dawson, director of the Prison Reform Trust, said: "No one should be surprised that a rehabilitation revolution is struggling to get off the ground in our overcrowded, unsafe local prisons. Transforming Rehabilitation was always a complicated way to solve the problem of high re-offending rates by short-term prisoners. The best solution remains to punish these people in the community."